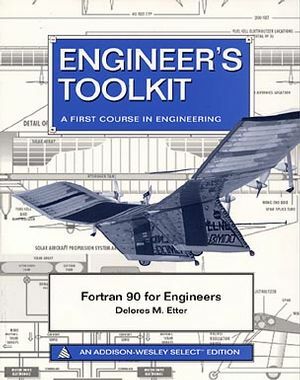 This brief introductory text teaches students how to write programs in Fortran 90. It covers programming basics, and uses a five-step method for solving engineering problems. Delores Maria Etter was United States Deputy Under Secretary of Defense for Science and Technology from 1998 to 2001 and Assistant Secretary of the Navy for research, science, and technology from 2005 to 2007. Describe the input and the output. Work the problem by hand (or with a calculator) for a specific set of data. Develop a solution that is general in nature. Test the algorithm with a variety of data sets. Key Topics Covered - arithmetic computations, control structures, array processing, external procedures, and data types, and pointers.